To order taxes and provide for the assessing and collection of the same on ratable inhabitants and property in said Fire District; to adopt a budget for the ensuing year; to authorize the borrowing for the ensuing year and for all other charges and expenses whatsoever arising within said Fire District; to elect At-Large members of the Operating Committee; and to transact such other business as may legally come before such meeting. The Dunn's Corners Fire District (DCFD) Operating Committee would like to inform the electors of three important processes leading up to the 2018 DCFD Annual Meeting, which will be held on Wednesday, July 18, 2018. 1. Terms will expire for two of the four Operating Committee At-Large Members (Richard Thomsen and Robert Delaney). The incumbents as well as eligible individuals may run for the positions. Any candidate must be an eligible elector of the District, specifically, a "person residing within the District, who is qualified to vote in the municipal elections for the Towns of Westerly or Charlestown." A candidate can be nominated by any eligible elector of the District, including him- or herself. The Charter requires that the Nominating Committee must receive nominations at least 30 days prior to the Annual Meeting; for this year that means that all nominations must be received no later than Monday, June 18, 2018. The nomination must include the name, address and telephone number of the person submitting the nomination and the name, address and telephone number of the nominee (can be the same person). The Nominating Committee will contact the submitter to confirm receipt and will contact the nominee to confirm willingness to serve. Nominees may optionally forward a Statement of Qualifications to the Nominating Committee (same addresses as above). 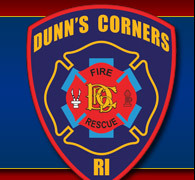 Each Statement of Qualification will be posted to the Fire Department website (www.dunnscornersfire.com) for voter review prior to the election. Campaign speeches, either by candidates or nominators, will not be allowed at the Annual Meeting. Any campaigning must be done outside of the Annual Meeting. 2. Terms of office for the following appointed positions will expire at the Annual Meeting: Clerk, Treasurer, Tax Assessor/Collector, Nominating Committee. Any eligible elector of the District can recommend any person (not necessarily an eligible elector of the District), including him or herself, for any of these positions. These recommendations will be handled similarly to the elected positions described above and must also be received by Monday, June 18, 2018. They may be submitted via email or U. S. Postal Service, and the Nominating Committee will contact submitter and nominee. The Operating Committee may request interviews with selected individuals before making their appointments. 3. If any eligible elector of the District wants to make a proposal at the Annual Meeting that will "require the appropriation of money," the Charter requires that that the elector must first submit the proposal to the Operating Committee. Any such proposal must be presented to the Operating Committee no later than it’s last meeting prior to the Annual Meeting (scheduled for Tuesday, July 10, 2018). However, the earlier proposals are submitted, the more effectively the Operating Committee can review them for inclusion in the 2018-2019 budget. 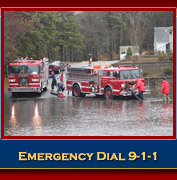 If anyone has any questions about any of these processes, they are encouraged to contact the Dunn's Corners Fire District by calling 322-0577 or by emailing Chief@dunnscornersfire.com.